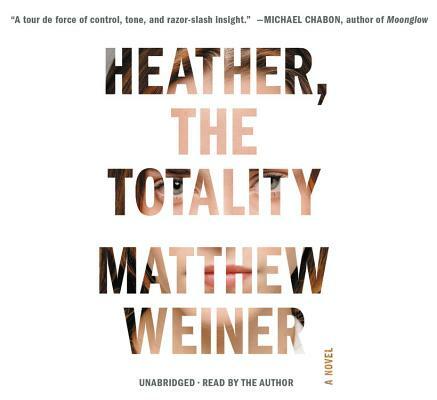 Heather, the Totality (CD-Audio) | Beach Books Inc.
Acclaimed storyteller Matthew Weiner has been entertaining audiences for two decades, most recently as writer, creator, executive producer, and director of Mad Men, one of television's most honored series. He also worked as a writer and executive producer on The Sopranos, along with several comedy series, and made his feature film debut in 2014. Weiner studied at Wesleyan University and earned his MFA from the University of Southern California. "Heather, The Totality is a tour de force of control, tone and razor-slash insight. In its clear-eyed anatomist's gaze and its remarkable combination of empathy and pitilessness I hear echoes of Flaubert and Richard Yates, with a deeply twisted twist of Muriel Spark at her darkest. I could not put it down."